Today i made steak and chips with mayonaise. 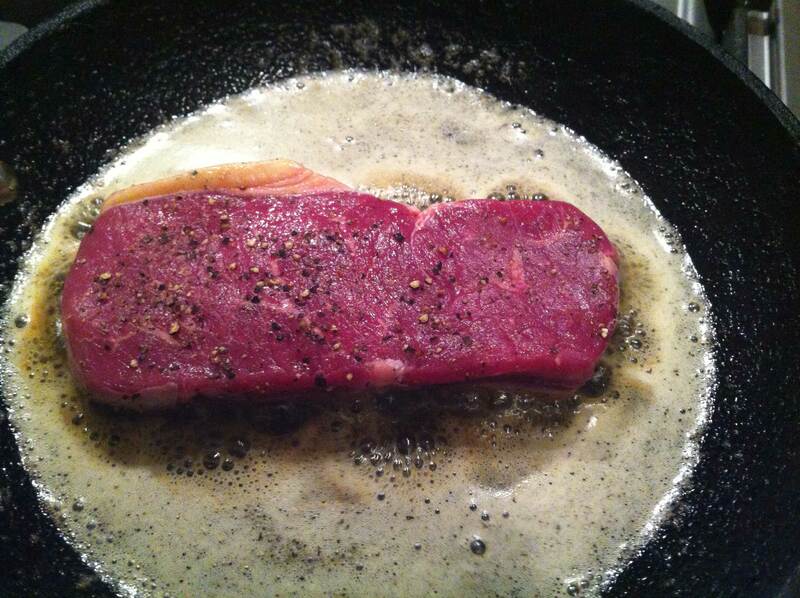 The entrecote i bought at the butcher Mellegers. It was expensive, but for this time i did buy it. Make sure all the ingredients are at room temperature. 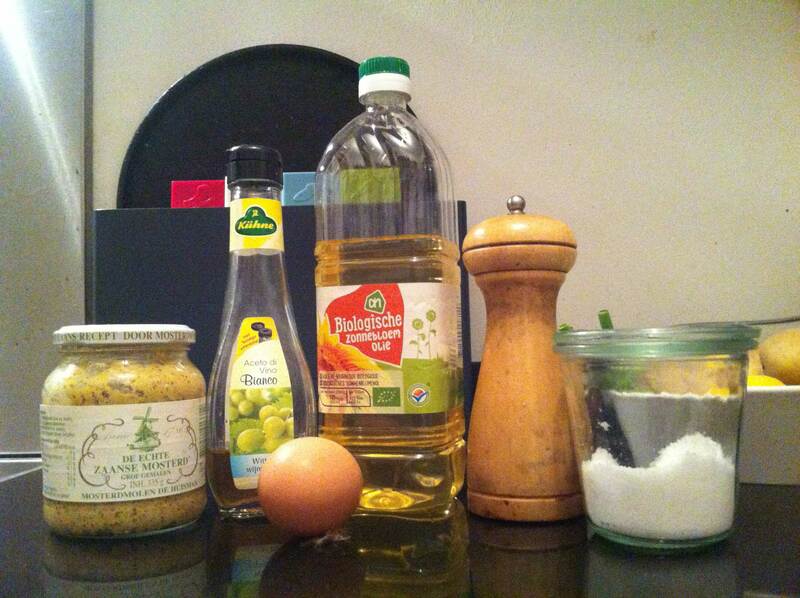 Put the egg, mustard, vinegar and oil in a high narrow mixing bowl. Add the salt and pepper. Put the blender in at the bottom, turn it on and move it slowly upwards. After around 20 seconds you are done. For the chips i bought special chip potatoes in the Marqt. 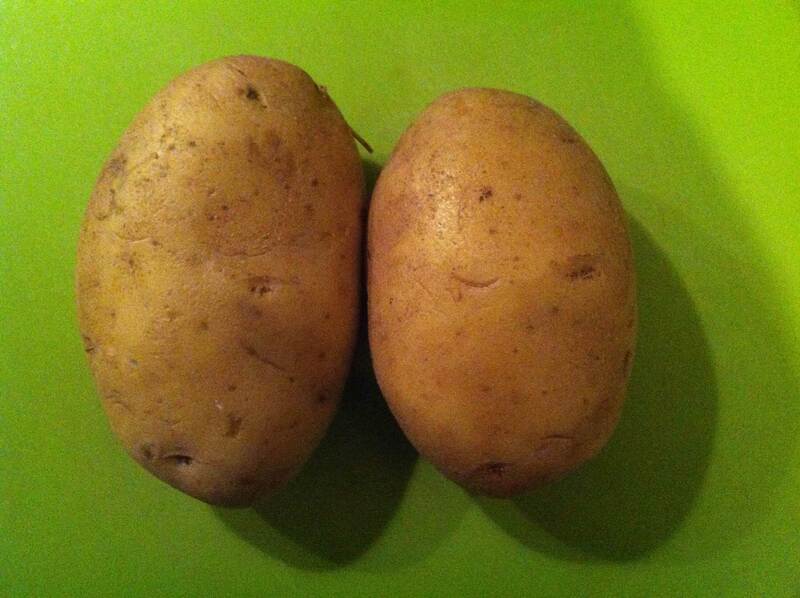 I did ask what sort of potato it was, but nobody knew. The special vegetable man wasn’t there. Next time i’m there i will ask him. I’m curious. Cut the potatoes in 1 cm square pieces. First i thought about frying them. Since i don’t have a fryer, or a thermometer who goes up to around 200ºC, i decided for a oven chip. 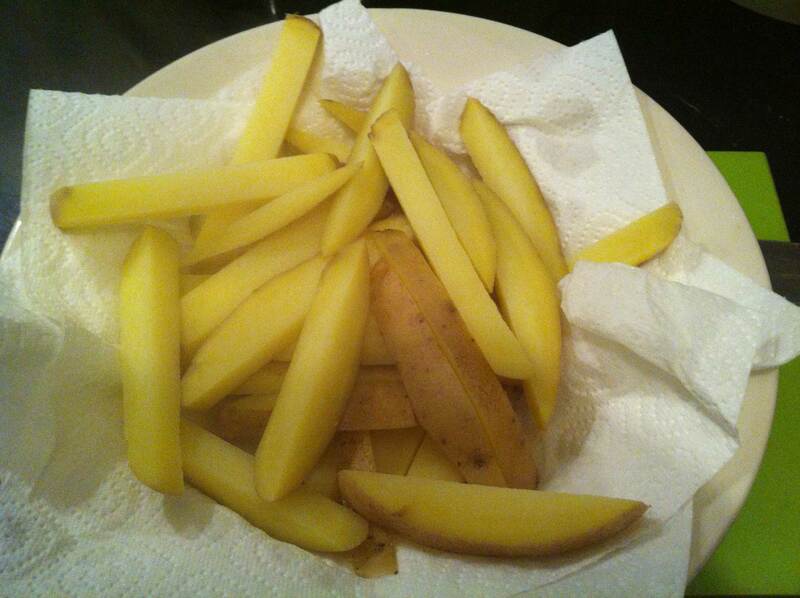 The chips were cooked in boiling water for around 4 minutes. The oven was preheating to 240ºC. 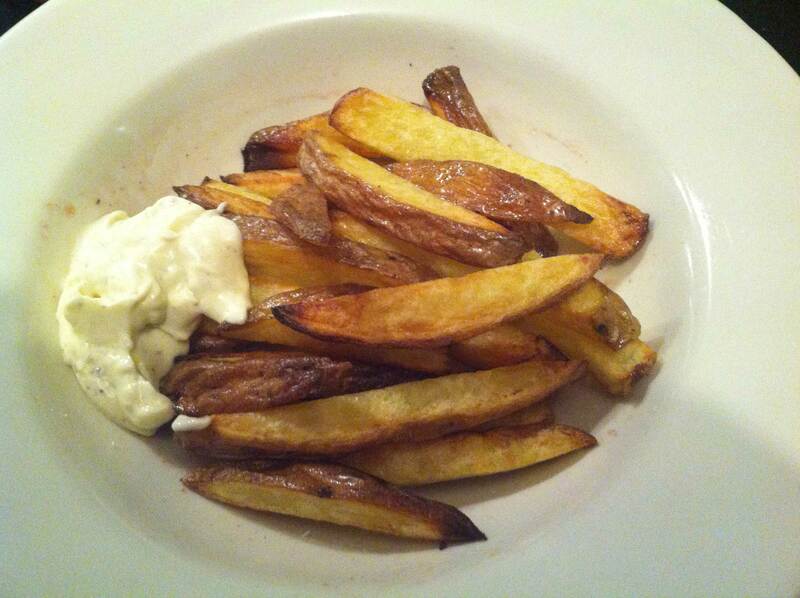 The chips were coated with a mixture of sunflower and olive oil. The recipe said fry them for around 20 minutes, but it took me 30 minutes for them to get brown at the edges. I didn’t eat all of them. A couple are saved for tomorrow where they will warm up in the oven. The entrecote was prepare really simple. 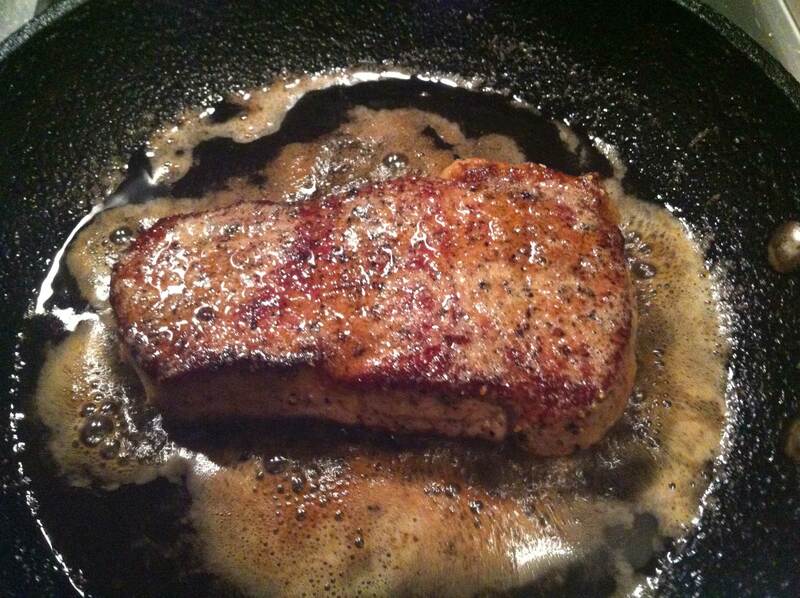 In a small frying-pan heat up butter and a bit of oil. Put in the meat, at room temperature, and bake for 2-3 minutes each side. Get out of the pan and leave for around 5 minutes to rest. Eat up! No other vegetables. I did eat the meat before the potatoes were ready. It was finger licking good!